Founded by Aurangzeb, the sixth Mughal Emperor, and also named after him, Aurangabad is a fine example of India’s rich culture. Located on the right bank of river Kham, the city is also the district headquarters and hence an important city by all means. 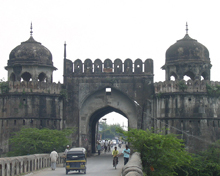 A travel to Aurangabad is ideal for a number of reasons. Apart from being home to an array of medieval monuments, Aurangabad is an ideal base to visit the World Heritage sites of the Ajanta and Ellora caves. The Chatrapati Shivaji Museum, Sunehari Mahal and Bibi Ka Maqbara, the mausoleum of Aurangzeb’s wife, are some of the must visit places in Aurangabad. For those who want to spend some time in the green environs, the Bari Begum garden is the place to be. Close to Aurangabad is the Gautala wildlife reserve with many wild species. Aurangabad is definitely worth a visit when in Maharashtra, and the fact that it is well linked to other Indian cities by rail makes it an even more attractive stop on your India itinerary. Ellora is, quite simply, one of the most splendid attractions in all of India. With hordes of people visiting the site in the state of Maharashtra every day, the world heritage site of Ellora is an "absolute must see at least once in a lifetime" destination. 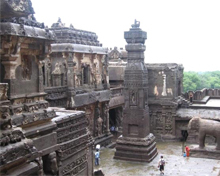 The cave temples of Ellora play out the Hindu mythology in both its construction and its spectacular carvings. In addition, the site is also home to Buddhist and Jaina caves. Cave 16, named The Kailasa or Kailasanatha Temple, is by historians to be the supreme example of Indian rock-cut architecture. The Kailasanatha Temple is certainly one of the most written-about and photographed of the monuments at Ellora. 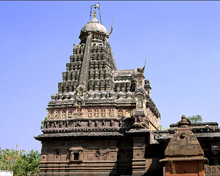 Built by Rashtrakuta king Krishna I (757- 773), the gigantic structure, dedicated to Hindu God Shiva, is the awesome achievement of the architects.